Find and Like us on Facebook to get updates. You may also subscribe to our SKYWARN only email list. You do NOT need to be a member of MCARA or SKYWARN to subscribe. Subscribing to the list creates a profile on the site so you may manage your communication preferences with our group. Martin County SKYWARN meetings are by convention called "Wingdings" (there's a story to that). These are informal meetings where a variety of weather and ham radio topics are discussed. 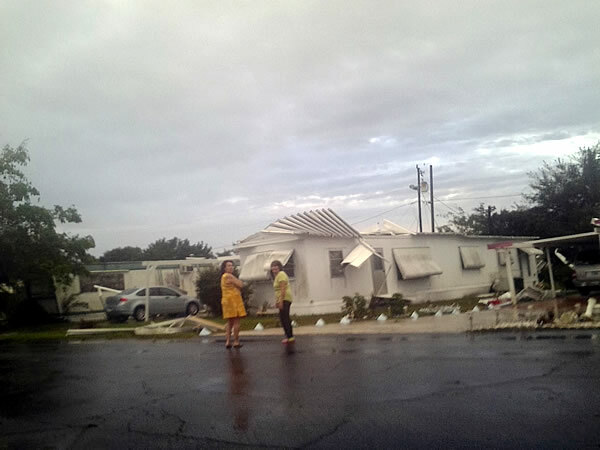 Photo above shows damage from inline winds in Hobe Sound on 09 Jan 2014. Full Melbourne NWS assessment is available here. Our Wingdings are held at ‘Southern Pig & Cattle Company’, always the 1st Thursday of each month, at 5:30 PM. Southern Pig & Cattle Company is located at 2583 SE Federal Highway, Stuart FL 34994. It is on the east side of US1 between Monterey Road and Indian Street. Please check this website for updates or contact Doug Shields at 772-349-7820. The Skywarn program began in the late 1960s and was introduced nationally in the late 1980s as an agreement between the ARRL and the NWS. This agreement, or MoU (view PDF in new window) is updated from June 2011. Martin County Skywarn began in 1994 with Adam Levenson (N2PNO), the assistance of Ron Tagg (KD4PQQ), and Dave Smith (KE4UEI). By end of 1994, Dave assumed most responsibilities and officially became the Coordinator for Martin County. From early inception to 2005, Dave Smith grew the number of spotters in the county from a handful to over 25. Today, Scott Spratt has the lead role at the NWS and is our primary contact. 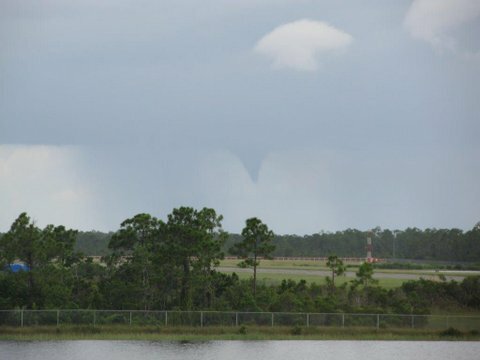 In 2009, Ron Tagg picked up the leadership role assuming most responsibilities for Martin County SKYWARN spotter training class arrangements and participation. Ray Jaworski, KI4RHL has also provided major assistance since 2009.